Messy handwriting may not seem like a huge deal in a world that is dominated by technology, but having good penmanship is still a must. If your child's handwriting is looking a bit messy, they may just need to take a couple of small steps to improve it. 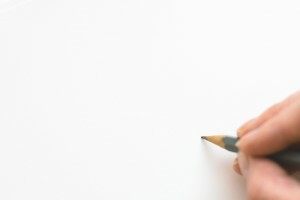 Have them use the following tips to improve their handwriting. Students who have messy handwriting can often resolve this issue by simply slowing down and paying more attention to what they're writing. If your child has messy notes because they're trying to write down everything the teacher says, teach them to focus on only writing the important details. Since messy homework and test answers can negatively impact their grades, teach them to slow down and focus on forming clear letters. The way your child grips their pencil and the amount of pressure they put on it can make a significant difference when it comes to how neat or messy their writing turns out. There's no wrong way to hold a pencil as long as it's comfortable for your child and gives them control over their writing. If they continually drop their pencil, they may need to change up their grip. The next thing to look at is how much pressure they're applying. Students often think that more pressure means more control, but this can backfire. Have your child release some of the pressure so that they can get better control over their pencil movements. Writing requires your child's brain to work with their nervous system and muscles, meaning they'll have to sharpen their motor skills to get better control over their outcome. Motor skills are easy enough to practice through fun activities. Puzzles, paper crafts, beading, and other similar activities can help your child get better control over their writing. As the new year approaches, help your student reach their academic goals with the help of tutoring in Sugar Hill. The Tutoring Center, Sugar Hill GA offers tons of academic programs that can help your student make the most of the school year. Learn more by contacting them a call at (678) 926-9475.